Small size soft book with a landscape format. 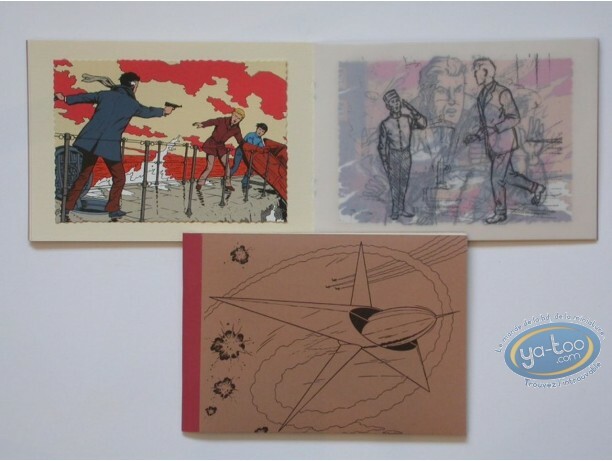 This little album is composed of 8 drawings on the theme of the Lefranc series, silkscreen printed like old photographs. 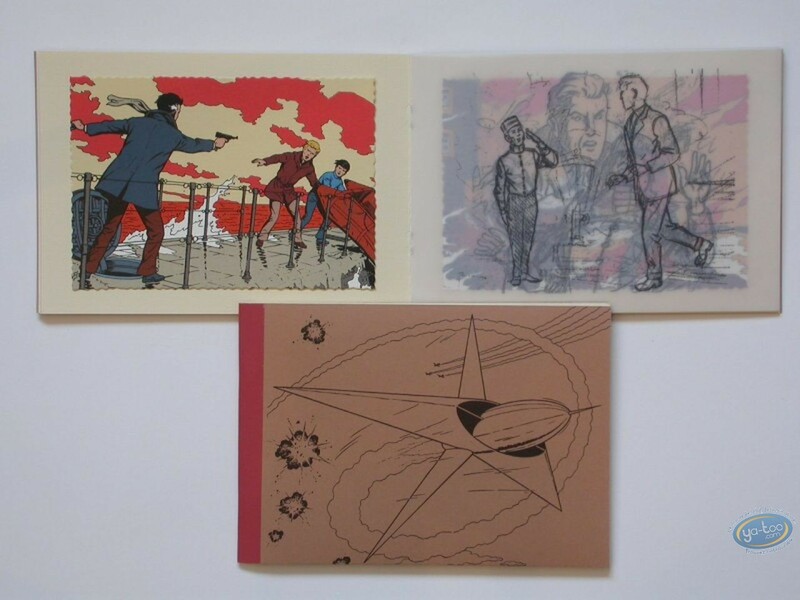 All the pictures are separated from one to another by pencil sketches on tracing paper. An album which will delight all the lovers of original products.